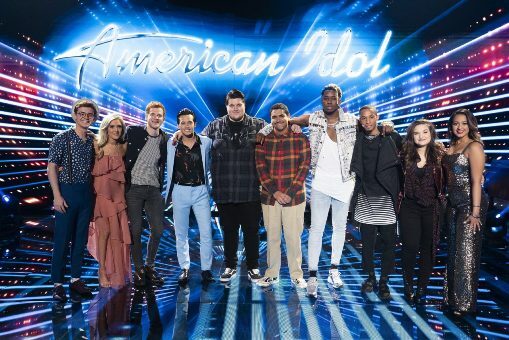 Every season of American Idol brings the same breathless, “this is our best-ever group!” hype. This season, much of that hype is real. For the first time in years, we have a Top 14 that is truly top-loaded with remarkable voices. Not all of them, of course, but several—enough to keep things interesting, entertaining, and drama-filled as the season’s first results night unfolds. As host Ryan Seacrest goes down the list of 14, seven are guaranteed a “safe” spot in the Top 10 thanks to the nationwide vote. The other seven will sweat it out in the “danger” zone. Three will be saved after each judge selects his or her favorite, leaving four to pack it up and go home. Each contestant performs and (with one curious exception) the “safe” ones will not receive judges’ remarks. Incidentally, all of the contestants’ voices are mixed too low (and some appear to be having difficulties with their in-ear monitors, which might account for some of the unsteadiness heard from normally reliable performers). Uché – Danger Zone – “Diamonds” (Rihanna) The judges’ take – Luke – “I don’t understand how America can’t feel the electricity this young man puts out.” Katy – “I just think you are a man of many different hats. You are learning the art of entertaining so well.” Lionel – (gets up and hugs Uché) – “We are not in the singing business. We’re in the entertainment business. You’ll never touch as many people as you’ve touched. You’re an entertainer.” —- Uché is safe. Also safe – Luke picks Dimitrius. Katy picks Alyssa. Really great calls by all three judges tonight. Going home – Ashley, Eddie, Evelyn, Riley. Not going to miss any of the above. Solid Top 10 moving forward.